Three individual stamps, each featuring a different word or phrase. They can be clipped together in any sequence making it extremely versatile and easy to use. 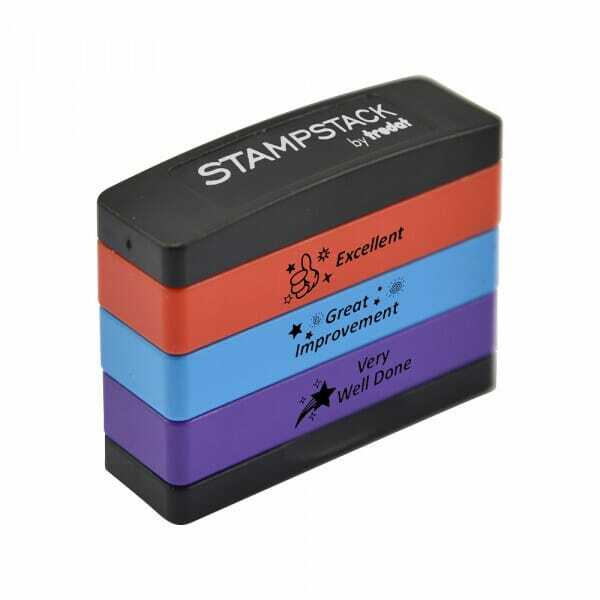 An ideal way to carry three different stamps in a bag or store on your desk with no mess keep them easily together. The stamps are created using Flash technology, which means the ink is contained within the stamp and there is no need for a separate ink pad. Customer evaluation for "Trodat STAMPSTACK - Achievement 3"